If you are looking for information on the Auto by Rent franchise business opportunity, Auto by Rent franchises or Auto by Rent franchising, then you have come to the right place. 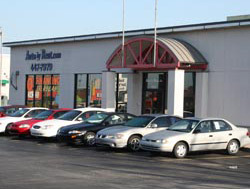 Auto by Rent has quickly grown to be one of the largest Rent-to-Own Auto Dealers in Southwest Missouri and has set itself apart from other Buy Here-Pay Here Car Lots through the offering of Rent to Own Car services that offer financial benefits and the joys of vehicle ownership to our customers. We are now offering our business model to other franchisees. Auto by Rent is unlike the typical Car Dealership or Buy Here-Pay Here Dealer; there is No Credit Check, 0% Interest and no up front tax or license fees. Auto by Rent allows its customers to select a Used Vehicle to Rent to Own and by completing a simple Auto Loan Application you are on the path to vehicle ownership. Auto by Rent's Financing criteria is primarily based on employment history, household income and length of residency, not credit score. 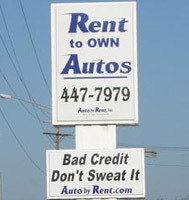 No Credit, Bad Credit, Don't Sweat it! We offer a winning combination of people, training and our proven system that will help you reach your growth potential. 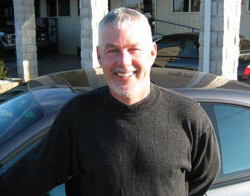 In addition to fully developed systems, market research and the benefits of developing the business from scratch, there are many other reasons to own an Auto by Rent franchise. Unlike many other franchisors, we're not afraid to provide you with the information on historical results. That information is part of our offering portfolio and we welcome any questions you may have. What makes this franchise opportunity unique and profitable is taxing for the franchisee is treated more friendly in the rent/own segment than the typical BHPH industry. By avoiding upfront sales tax and license fees in most states the franchisee has a competitive advantage. Meanwhile, the title remains in the franchisee name allowing the franchisee to hold customers more accountable and to control losses by avoiding a long and costly repossession. Auto by Rent is perhaps one of the most profitable franchises you will find with a great return on your investment. We have developed a strong customer accountability, while maintaining a strong competitive advantage with what we believe is one of the most profitable franchises available today, yet being one of the most affordable franchises to buy. We currently have opportunities available in 36 states and will be adding states in the next year. We invite you to explore this opportunity to be one of the very first in this new and exciting market.